Our City Scoreboard brings you up to date on all the local Dana Point youth team accomplishments and special, individual performances of the week. We want to run your scores, results and announcements. 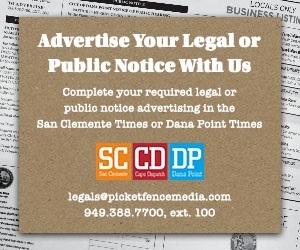 Email sbreazeale@picketfencemedia.com for submission. 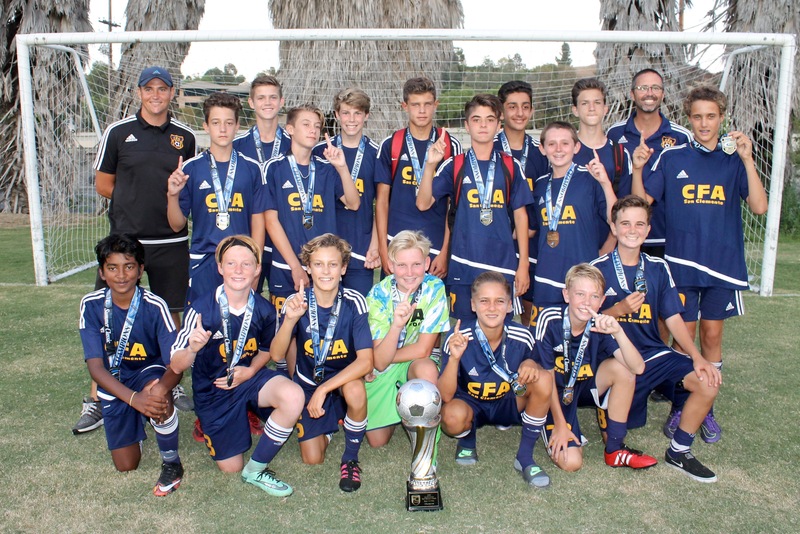 The California Football Club’s San Clemente boys U15 team won its division at the San Clemente Surf Summer Classic tournament on Aug. 21. The team, which draws players from Dana Point and San Clemente, won three games en route to claiming the championship. The team includes Paul Duke, Sean Colson, Christian Key-Marer, Andrew Winkler, Ethan Grush, Marcello Rossi, Armin Kazemi, Donny Rimer, Clay Mosher and Luke Blackwill. The team is coached by Andy Bird and Dan Foy. Playing in renowned Cooperstown, New York, the Saddleback Cowboys 12U Grey team won the Cooperstown All-Star Village tournament on Aug. 4. The local team, which draws players from Dana Point, San Clemente and San Juan Capistrano, bested the field of 48 teams to claim the division championship. The team beat SGV Hustle 10-9 in the final game. The team includes: Trent Caraway, Adler Carrison, Jack Collins, Rocco DiFrancesco, Ryan Edwards, Andrew Griffin, Kevin House, Luke Lavin, Sebastian Moore, Chase Nichols, Tyler Norgaard and Leo Sanchez. Registration for the United States Youth Volleyball League’s fall season in Laguna Niguel is now open. The instructional league, which is run by volunteers, is designed to teach local players ages 7-15 the fundamentals of the game. Practices will be held on Tuesdays and games will be held on Saturdays at Niguel Hills Middle School. The league runs from September through November. For more information or to register, visit www.usyvl.org or email info@usyvl.org.